In This Scene: Alice Waters' communications director and ex-Vogue Australia stylist, David Prior. 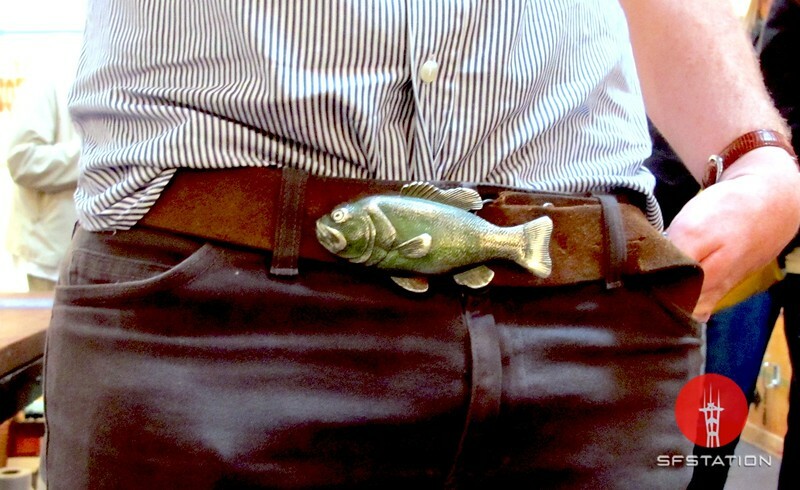 His unique fish belt buckle is actually a bottle opener he had made into a buckle. What a fabulous idea. The actual belt is a just a piece of raw leather with holes punched in.